Abu Dhabi’s new financial services sector is setting its sights on becoming the Arabian Gulf’s leader in the area of financial services technology, with the publication today of a consultation document which sets out its plans for a specialist regulatory framework aimed at encouraging fintech companies to set up shop in the jurisdiction and prosper. 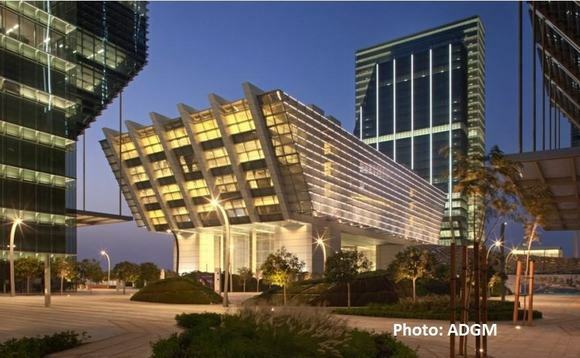 In a statement accompanying the 12-page consultation document, Abu Dhabi Global Market’s Financial Services Regulatory Authority noted that its plans for the fintech sector represented “the first such initiative in the MENA region”. The FSRA’s “Regulatory Laboratory”, or “RegLab”, it added, had been designed “specifically to cater to the unique risks and requirements of fintech [industry] participants, and incorporates extensive feedback from key local and global stakeholders”. “The proposed RegLab continues to promote FSRA’s objective in developing a stable and sustainable financial services sector in Abu Dhabi, while fostering innovation within scoped parameters buffered by risk-proportionate regulatory safeguards,” it added. Ahmed Al Sayegh, Chairman of ADGM added that, by providing fintech industry participants with “the certainty of obtaining relevant regulatory approvals on a stable platform, where they can test or deploy new technologies”, the proposed Abu Dhabi Global Market RegLab “would draw on a holistic approach to support Abu Dhabi’s vision of developing an innovative financial services sector that is underpinned by robust regulatory principles”. Last week, Al Sayegh was quoted in the UAE’s National newspaper as saying Abu Dhabi was looking to become the Gulf region’s fintech capital. “We have not yet seen a deeply established fintech ecosystem in the GCC,” the National quoted him as saying. * Rather than starting out with a full suite of one-size-fits-aull authorisation rules and regulations, the RegLab structure would begin with a customised set of rules that would be applied on a case-by-case basis. The exact structure of these rules would be determined by the business model of the entity in question, the technology it was planning to deploy, and its individual risk-profile. * Fintech industry participants would be able to take advantage of a two-year “grace period” during which they would be able to develop, test and launch their products and services in a controlled environment. After this time, those firms with viable business models would become eligible to be governed by the RegLab’s full authorisation and supervisory regime; those that still weren’t viable would be required to exit the RegLab framework. * As part of the FSRA’s efforts to nurture a sustainable fintech industry, a dedicated online portal is to be established, which is envisioned as providing an additional resource, particularly with respect to enabling the fintech industry participants to “shape their regulatory business plans”, navigate the “dynamic landscape”, and take onboard the necessary regulatory requirements. Separately,the FSRA said it is also working on building “strategic partnerships” with local and global leading industry stakeholders, including accelerators and universities, in order to “collaboratively cultivate local entrepreneurship and promote technology development and innovation” in the sector. Comments on the RegLab consultation must be submitted by 13 June to the FSRA, at its Al Maryah Island address, or via email. The Abu Dhabi Global Market is a free zone set up to give the Abu Dhabi emirate its own international financial centre, in competition with Dubai’s International Financial Centre (DIFC). It was established by federal decree in 2013, and opened for business on 21st October 2015 on an island that also features hotels, office buildings, hospitals, luxury retail facilities and high-end residences. It is governed by three independent authorities — the Registration Authority, the Financial Services Regulatory Authority and ADGM Courts, with the idea that companies based there would be able to carry out their business in a tax-free environment backed by a sound regulatory framework and a common law-based judicial and legislative system.